Being a customer focused organization, we are engaged in manufacturing and supplying a wide assortment of Baby Powder. Helpful in softening the skin of babies, this baby powder is quality tested by dermatologist for allergy and sensitivity. 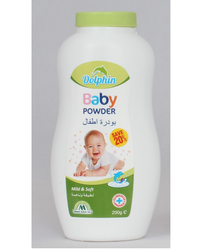 We offer our this range of baby powder to our valuable clients at optimum market rates and within stipulated time period. 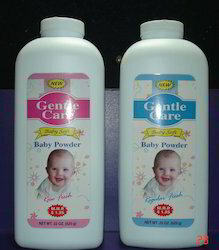 We have carved a niche in offering a huge gamut of Baby Powder which keeps skin feeling soft, fresh and comfortable. It's a classic. Baby Powder helps to eliminate friction while keeping skin cool and comfortable. It's made of millions of tiny slippery plates that glide over each other to help reduce the irritation caused by friction. We are offering our esteemed clients an impeccable range of Royal Fresh Baby Powder. This clinically proven powder conforms to the defined parameters of the industry, signifying its high standards. Furthermore, keeping in mind divergent demands of the clients, we offer this product in different quantity.